Deer Heating & Cooling has been in business since 1996 and has maintained the same philosophy since the very first customer: “The customer’s needs always come first.” We take great pride in the reputation we have built through the years with our customers and we are also very proud of the fact that after thousands of customers through the years, we continue to have an A+ rating with the Better Business Bureau. Deer Heating & Cooling is a family-based company, and we operate on the principles of honesty, integrity and, respect for our customers. 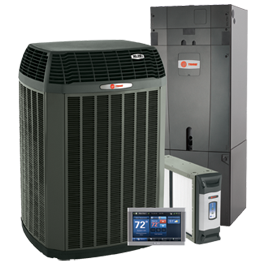 We appreciate each customer who entrusts our company to come to their home and service their equipment or install new heating and/or air conditioning equipment. Our high percentage of repeat customers and customer referrals are something we are very proud of, as it is a testament of the level of faith and trust that the customer has in Deer Heating & Cooling. We strive for 100% customer satisfaction. Every customer is important to Deer Heating & Cooling, and our staff wants to make certain that each customer is treated professionally and respectfully from the time they call into our office until the technician leaves their home with the job completed to their satisfaction. We not only work in this area, but we live in this area; the customers that we provide service to are the same people we live with in this community. Maintaining a reputation of honesty, customer dedication, and integrity is important to us at Deer Heating & Cooling. We strive to be active in our communities through charitable works, as well as participation in local events such as festivals and parades. 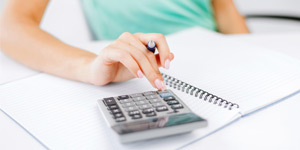 We never charge an overtime fee regardless of weekdays, evenings, weekends or holidays. We also offer a free 2nd opinion on condemned equipment. We do not have subcontractors at Deer Heating & Cooling. All of our technicians are full-time employees who are experienced, professional, and courteous. Our technicians are background checked and bonded. They are NATE (North American Technician Excellence) certified and regularly attend continuing education workshops to keep up to date on new products and techniques in the HVAC business. They are in a continuous training process to maintain the best possible service for our customers. We also offer the benefit of having a Mobile Showroom available to bring to a customer’s home who would like to see the equipment before it is installed. We often bring our Mobile Showroom to local festivities in the summer as our Deer Heating & Cooling “Cooling Station” with A/C inside and ice cold water to help you beat the heat. We appreciate your consideration in placing your trust in Deer Heating & Cooling for your heating and air conditioning needs!